"We love inspiring others to reach their full potential!! Whether it be grandma's beloved server or your childhood dresser - You can make it your own with a little paint!! 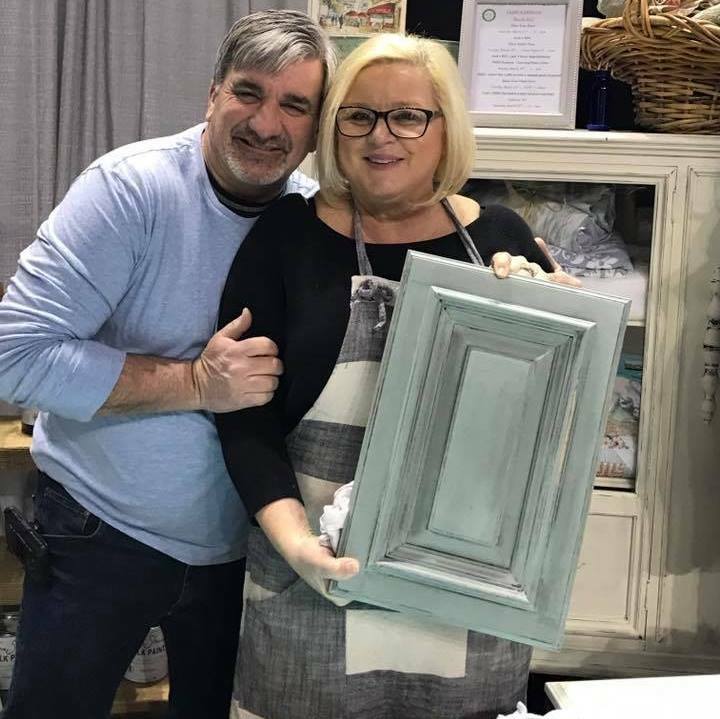 People come to learn about and purchase Chalk Paint® Decorative Paint by Annie Sloan, but they leave full of inspiration and confidence that they too can achieve something amazing on their furniture and in their homes." We carry an extensive line of DIY Products, from Chalk Paint® to Stencils and Wood Icing. We also stock many supplies (like brushes and rags) that get you started to save you the trip to multiple stores! Want to start but don't know how to get going? Try taking a class!! We offer a variety of classes that are geared toward the beginner. Stop in to say HELLO!! We are not only a DIY Studio, but just like our name says - we offer several Home Decor lines. We have that one-of-a-kind piece you've been looking for!! Milinda Zink is the store owner - she is married and has 4 children and 2 grandchildren. You'll see her most days in her apron painting away in our DIY Studio and getting to know her customers. She prides herself on her store's excellent customer service and the inspiration she gives to others to achieve their DIY goals. Mindy also enjoys time with her family, taking photographs, and sipping cool drinks by a lake with her toes in the sand. She laughs a lot and enjoys life as much as she can!! Anna, who is a huge part of the daily routine and paints everyday, can be found in the studio pushing herself to the next level.